1st Cuddington is a UK Sea Scout Group of around 130 young people in the South of the UK. As their home Base is in an area without water, we have a separate boating base. It has been an amazing year with lots of challenge and loads of everyday adventure. From cartwheeling Cubs to Boating Beaver & from Sailing Scouts to Explorers exploring Portsmouth Harbour – it has been a busy year on and off the water for the Group. Whilst highlights could include winning the a number of trophies at the National Rowing regatta and a fantastic Royal navy review, it is the #everydayadventures that underpin what we do. As always, the thanks go to the team of volunteers – both in front of sections and behind the scenes. Now please feel free to settle back and enjoy some highlights of 2017. Thank you for sharing, Richard! ”It’s the most fun one can have, it’s something that should be on everyone’s bucket list!” That’s how ice sailing was described to me just seconds before I first jumped into a DN iceboat. 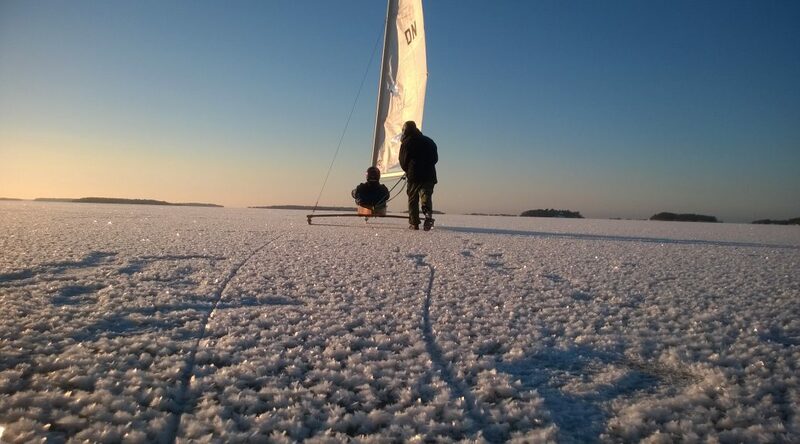 Moments after that remark I was gliding into a darkening evening of ice-bound sea off the coast of Rauma – with speed that was both exciting and terrifying for a first-timer. You might not be very familiar with the behind-the-scenes of organizing the Eurosea event. So we’re writing a series on it! 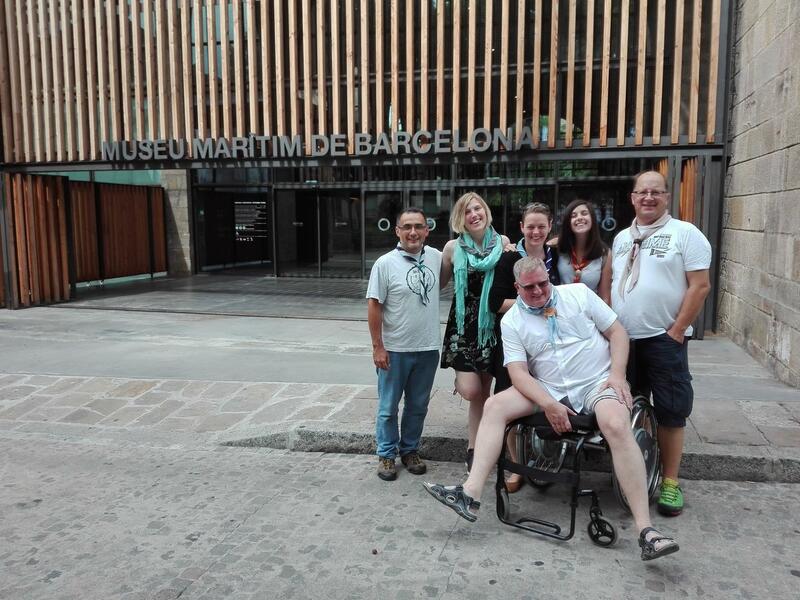 As you might have seen on facebook, the Odysseus Group has been to Barcelona. No, we did not just eat tapas and drink cava. In between all the food and a few relaxing activities (sometimes also including food) we worked very hard on Eurosea and other future projects. Welcome to our renewed website! The Odysseus Group had a preparation meeting in Barcelona for Eurosea in 2018. One of the topics on our agenda has been a new communication strategy. Part of that strategy was updating the website to a more modern lay out. We said goodbye to the old look and feel, and welcome the new one. Besides the info on the Eurosea, the old Euronauts, and a contact page for you to get in touch with the Odysseus Group, we are also introducing a couple of new features. The Euronaut is a new concept. Every couple of weeks someone will have written an interesting blog post on Sea Scouting in Europe. Who knows, it might have been you?! Those blog posts will be available to read, right here. We will also post the link on facebook so you can easily get to it 😉 Are you not a big fan of facebook, but don’t want to miss any of the news? Subscribe to the newsletter and every couple of months you will get a summary of all blog posts that have appeared right in your mailbox! If you want to share something with European Sea Scouts, that is awesome! Did you make an aftermovie of your summer camp? Do you want to tell us about Sea Scouting in your country? Did one of your members attend a training? Or want to make a training on Sea Scouting Safety? Anything and everything that has anything to do with Sea Scouting in Europe is great news! Please, send us an e-mail or a message through the contact page and we will be happy to share it with everybody. Members can write in their own language, that will be posted as well, if someone else can translate it into English. Add some cool pictures. And if you don’t mind, we will check for English grammar and spelling and… HOPPA, your own personal article will be published! We will also start to build an “water activities wiki” where we will collect water activities of all kinds for you to get inspired. Did you create an activity that was a total hit in your group? Please share it with us and we’ll share it with all of Europe, right here on this website. Of course all of the credit will go to you! We’re just share, because we care. If you have any suggestions to make this website better, in any way, let me know in a comment below, shoot me an e-mail or send me a message on facebook. Every now and then I get a request to share an invitation with you. 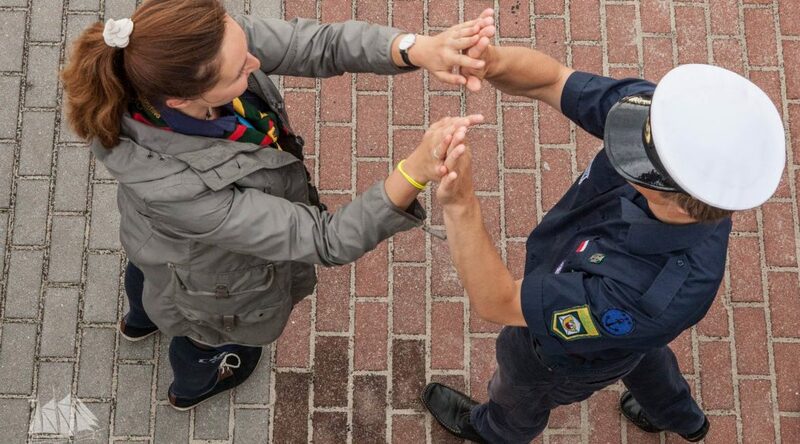 Since it’s our mission to connect (Sea) Scouts of Europe, we will gladly share invitations to events that connect to that mission. Today we share the invitation of HOME 2018, an International Jamboree organised by the Upper Austrian Scouts.